From large weddings of 450 guests or more, to intimate gatherings of 25 or less, our Sanctuary provides a beautiful and spiritual space for ceremonies of all sizes. 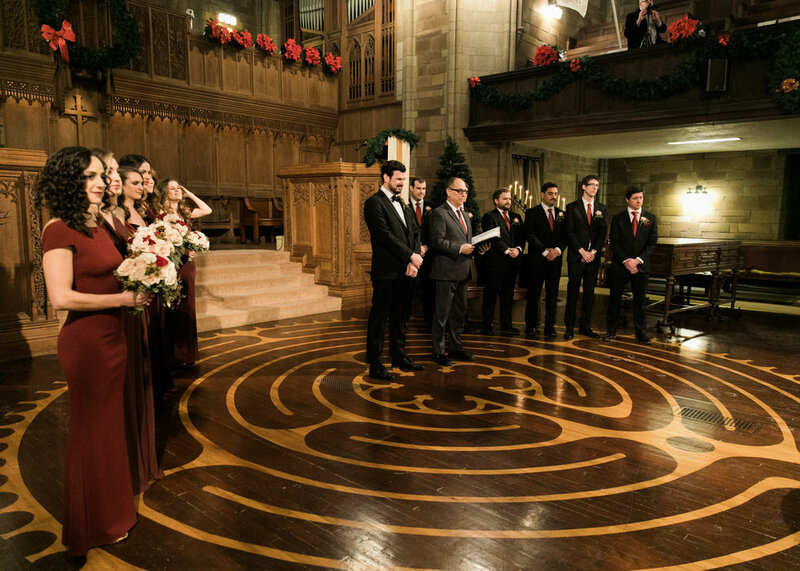 You may choose to be wed on the main chancel (front altar) area, or the unique labyrinth on the wood floor in front of it. 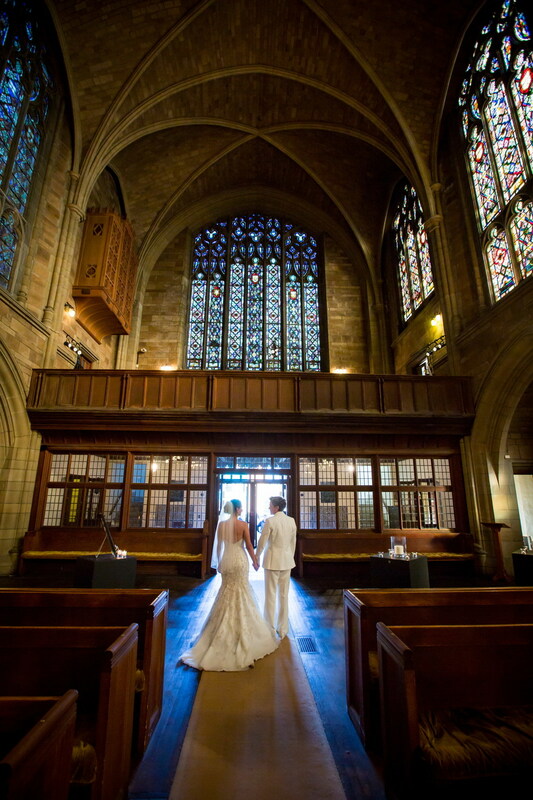 Our Sanctuary features a dramatic cathedral length aisle, stained glass and detailed original oak woodwork. 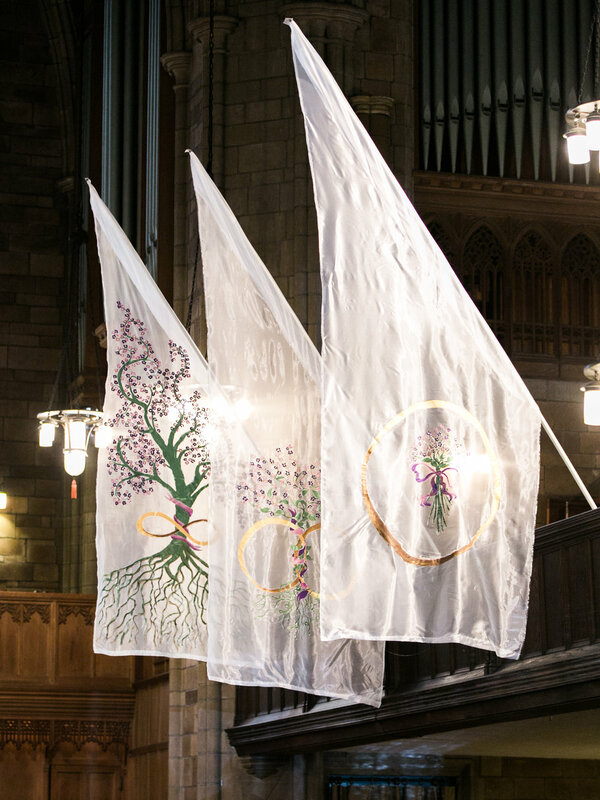 Our unique, handmade white wedding banners add a one-of-a-kind air of joy and festivity to this historic space. 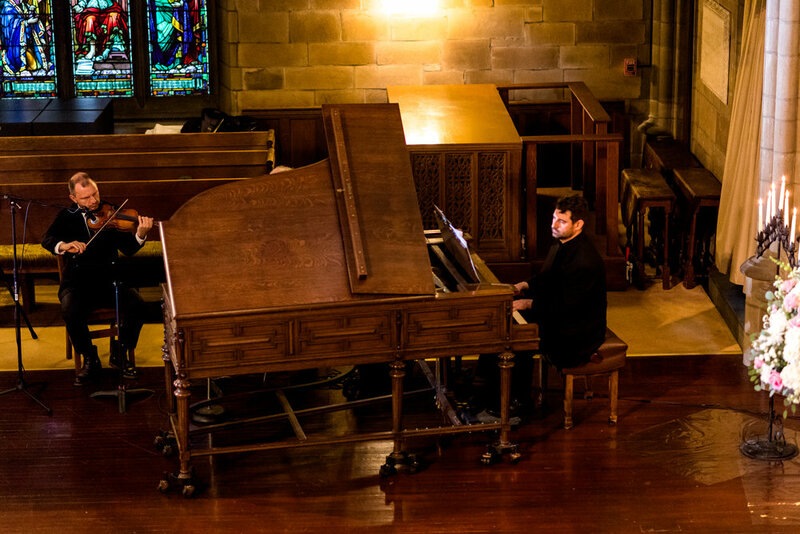 Our Steinway grand piano and historic Skinner pipe organ can add grand and beautiful music to your wedding. 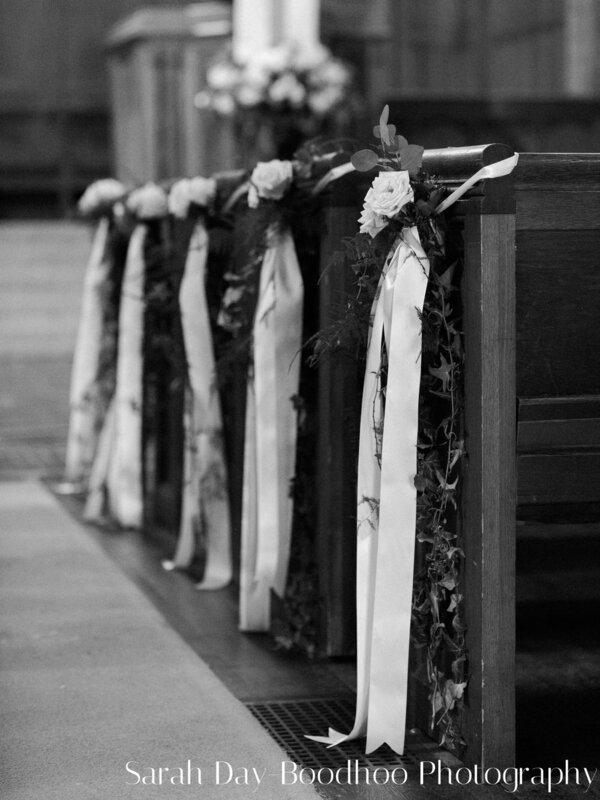 Our Skinner organ is unique in the area, and our resident Organist/Pianist David Salyers is available to play traditional wedding music or your music of choice. Located in picturesque Montclair, New Jersey, our historic church was designed in an impressive Neo-Gothic style by legendary architect Bertram Goodhue. Known for its stunning high-vaulted ceilings, pointed arches, and spectacular stained glass windows, the building was dedicated in 1916 and added to the U.S. Registry of Historic Places in 1988. Contact us to arrange a tour of our beautiful Sanctuary today.